Chocolate Paradise won Best of Class in two categories. In the Dessert Class, Chocolate Paradise won Best Dessert Wine, competing against Ports, Ice Wines, Late Harvest Wine and all other wines entered in the Dessert Class. Chocolate Paradise also won Best of Class in the Blended Wine, competing against grape blends, fruit blends and all other blended wines. Chocolate Paradise also won gold medals in each class. Chocolate Paradise won a gold medal in the US National Wine Competition. 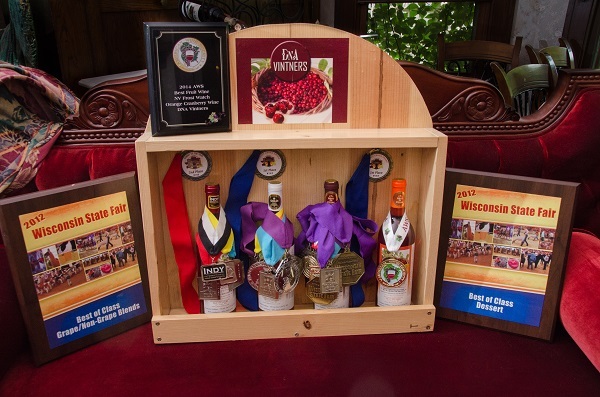 Sweet Paradise won a gold medal in the Women’s International Wine Competition.